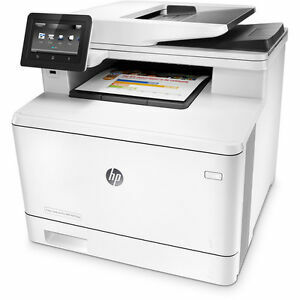 New HP Laserjet Pro M477fnw Color Laser All In One Printer w/wrty $529 NO TONER! bigvalueinc has no other items for sale. Great transaction. Amazing HP Laser Jet Pro printer. Superb print quatilty. Item was announced as a NEW but it’s an OPEN BOX. It’s in good condition though. Very good service and the product was received as indicated. GREAT PRODUCT, FAST SHIPPING, WOULD RECOMMEND AND BUY AGAIN!!! I waited a good many years to achieve a nice printer. Just a small home owner with no business ties or anything. So I bought this on EBay and of course Stellar service as always. The FNW is not the printer you want... so I find out. It's the FDW. I don't like to get up and "Open the paper Load Tray" to get Duplex printing. But that's what I have now. A small error in judgement in not locating the correct display paper that told me that. A small amount of money for the difference, but if you ever want to do double sided copies, print to save paper, or just think in the next 10 years you may want to ... the be sure and spend the few extra dollars NOW. I enjoy the Wireless feature, the printer is in the back room and I just send the color copies to that if I want while I keep my smaller laser printer of the past 9 years (another HP) here at the desk with me. I can use my phone to send documents to this also, while in range of my WIFI service or I have to send it through the Email System if I am away from home. But I can now print from anywhere without additional cost to me. I recommend the printer... just be careful of the Model Type. FNW is get up and do it yourself, while FDW is a helpful friend when you need one. At first, I was very impressed with this unit, easy to set up and built like a tank. The document feeder however was not as good, would not pick up paper without giving it a nudge each and every time. 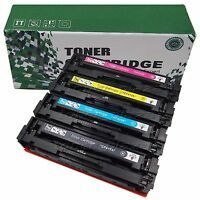 I was upgrading and older HP Laserjet MFP which was a lot lighter duty but still works, glad I didn't get rid of it because I had to return the Laserjet Pro M477fnw for a refund. I think I'm going to try a Canon MFP as my replacement, very disappointed in HP that they can't make a doc feeder that is more reliable. Printer looks brand new, very easy setup for WiFi printing from phone/tablet before setting up on computer, very good quality prints including color. Very happy with this purchase. Printer was received on time and came with manuals, cables and low capacity cartridges. Really satisfied with the printer and does a great job with WiFi! Highly reccommend the printer and supplier.